The Whys And The Hows! Learn the art of slow cooker cooking. 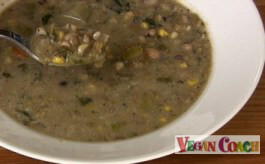 We'll show you all we know, including benefits of using this technique, which foods work best, and even how to make super easy and YUMMY soups and stews. 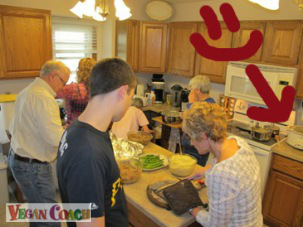 Mom's trusty old slow cooker was a huge part of the equation, and I really loved the meals she made with it. She'd add the ingredients to the cooker in the morning before she left for work, and by dinnertime the amaaaaaazing aromas of the food would be wafting through the house, getting our taste buds in the mood for dindin. In fact, Mom's to this day still uses one. You can juuuuust see it peeking out in this picture from Thanksgiving in Minnesoooooota. Slow cooking is really a lost art, in my humble opinion. But with the resurgence of getting back to our roots with the Slow Food Movement, it is finding its place once again in kitchens across the land. Plus, meals made in a cooker make for amaaaazing leftovers, perfect for lunch the next day. Which Foods Work Best In A Slow Cooker? Well, I can't think of any foods which couldn't be made perfectly in a crock pot. Look at this gorgeous stew hubby Jeff cooked up. You will fall in love with vegetables again because they become super tender and even sometimes begin to disintegrate (like potatoes!) which make for an EXCELLENT stew. And remember, you're eating the nutrient-filled broth too! 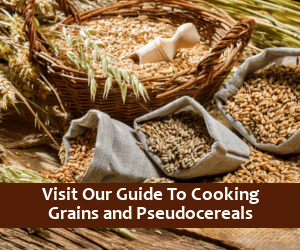 Grains, lentils, and small beans cook up perfectly as well. I highly recommend pre-soaking them all because between the two processes (soaking and cooking) they become very easy for your body to digest. We use these the wide-mouth jars for soaking, or you can use any large bowl with a lid. It's VERY important when you pre-soak ANYTHING (beans or grains) that you use enough water for the entire process to do its job. 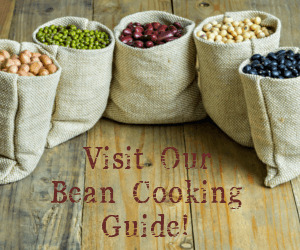 Pour in more water than you THINK your beans (or other foods!) will need - you can always just pour off what is not used up in the soak. Since soups and stews cook up so perfectly, let's talk about how to do it. Now, at first you might think ANYONE can make delicious soups because it's easy to do -- just throw the stuff in and call it a day. But really, there is an art to it, especially when it comes to adding herbs and spices and other ingredients that will make your soup shine. 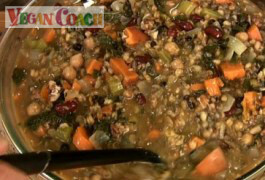 Using a slow-cooker is a marvelous way to make fantastic soups and stews. Many cookers will also double as an electric pressure cooker. But clearly if you have a stand-alone crock-pot/cooker, all these ideas here will work perfectly for you too. Approximately 1-4 cups of any veggies. How long to cook everything? Well, slow cookers typically operate around 170- to 180-degrees F. That's a very low temperature. So generally speaking, no less than 5 hours, and not usually more than 8, although you can expect no loss of nutrients if you end up cooking your stew longer than that because you eat the broth too. Then after it's all cooked, you can add your seasonings and more liquids as well. 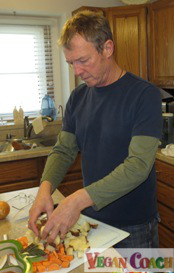 Some chefs like to add seasonings before the cooking process is complete to help the flavors meld together. I prefer to add my seasonings after the cooking is finished, but another option when slow-cooking is to add some seasonings during the cooking process. Like the other methods, it is really all about your own personal preference. Try it both ways, if you like, to see which works best for you. My soups and stews usually start with anywhere from 2 to 8 cups of whole food ingredients. You can pre-soak any combination of legumes and grains overnight, or at least 6 hours. Or maybe you'd like no grains. Or maybe some wild rice and lentils. 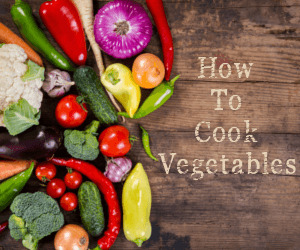 Pick out some veggies and chop them up in small pieces. Be creative. One time you could use carrots and celery; and another sweet potatoes, bok choy, red bell peppers, and summer squash. How about chopping up a cup or so of some walnuts or pecans? Check your masterpiece if you wish, and maybe you'd like to start adding seasoning and flavorings. Now you can use your intuition to make this your own creation. Use our vegan Flavor Matches to find the seasonings and other flavors that match your main ingredients. Another idea is to keep track of the ingredients in your creations in case you hit upon something you want to make again. But, if you're like me, I just don't like feeling encumbered with recipes; I really enjoy just going for it and using my intuition and taste-testing. Cooking is way fun if you look at it from an artistic point of view. And the best part of culinary art is you get to eat it when you're done! We hope this article has helped take some of the mystery out of cooking with a slow cooker. This is the stainless steel slow cooker/pressure cooker/steamer combo we recommend. Wishing you many delicious dishes. "This is really one of the best websites ever. I'm serious. 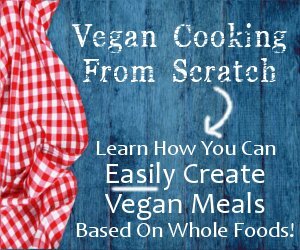 Have been trying to eat vegan for a little over a week, and this website is so much fun and so helpful."